In an ever-changing world, it is comforting to know that with over 40 years experience in the plumbing and heating industry, Wm Davidson (Plumbers) Ltd can offer solutions to all areas of plumbing and heating at very competitive rates. Since 1966 we have been serving domestic, commercial and industrial customers throughout Lanarkshire, Glasgow, Strathclyde and Central Scotland. The services we offer vary from small domestic repairs, to large commercial contracts, maintenance and emergency call-outs in all aspects of plumbing and heating work no matter how big or small. We are specialists in Central Heating Installation, System Upgrades and Servicing, Low-Level Shower Cubicles, Walk-In Enclosures, Wet Floor and Bathroom Installations. 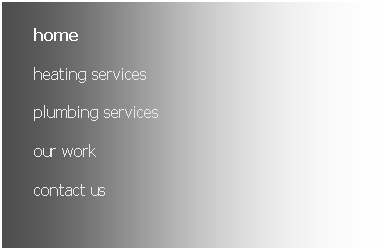 Wm Davidson (Plumbers) Ltd have over 40 years experience in the plumbing and heating industry. Therefore we can offer solutions to all areas of plumbing and heating at very competitive prices. All work carried out by Wm Davidson (Plumbers) Ltd is carried out to an exceptional standard by highly experienced and fully qualified plumbing and heating engineers. We only charge what we quote - no Call-Out fees, FREE quotations and No hidden costs. Wm Davidson (Plumbers) Ltd are a Worcester Bosch Approved Installer. We are SNIPEF, Gas Safe, LPG and OFTEC registered. We have a proven track record and have many loyal customers who continue to use our services since our company was Established in 1966. We aim to beat any competitors’ price - Call us last to beat any heating or plumbing quote!